The Octek range of motherboards have won a large number of awards and are consistently listed in the top 5 of many industry standard performance lists. ZCM Services supplies the entire range of Octek motherboards, starting at the Rhino 12+, right up to the Rhino IIBX. 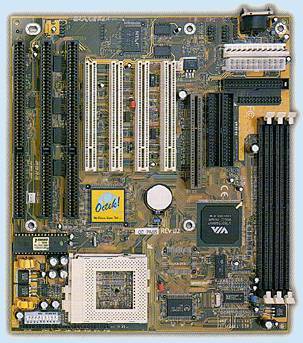 Take a tour of the Octek motherboard manufacturing facilities. The Rhino MVP3 is an 'AT' formfit motherboard for 'Socket 7' processors. It is based on the Apollo VIA MVP3 chipset. It has 512k SYNC Cache, support for EDO and SDRAM DIMM, and accepts up to 333MHz IBM/Cyrix or AMD processors. 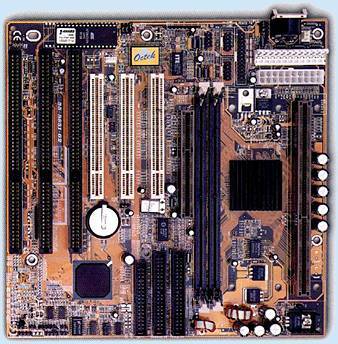 For the high end user Octek also provide a range AT and ATX footprint motherboards using single or DUAL Pentium II processors. These units are the ideal basis for a high - end server or full motion video editing suite. The Rhino IILX AT is based on the Intel 440LX chipset. 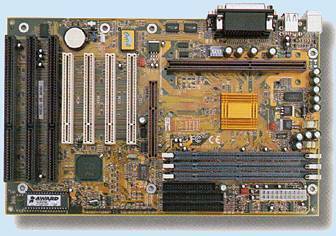 It provides the ideal foundation for a Pentium II or Celeron (242CSC) based system. All features provided by the LX chipset are exploited, including AGP (Accelerated Graphics Port). The latest entrant in the Octek Pentium II/III range is the Rhino IIBX ATX. This ATX footprint motherboard utilises the Intel 440BX chipset, which boasts a 100MHz external bus speed and support for processor core speeds of up to 500MHz. The Rhino IIBX is also available in a small footprint version as the Rhino IIBX SATX. To reduce the size to conform to SATX standard the number of connection slots is reduced to 2 ISA and 3 PCI. All other features are unchanged. All Octek motherboards have a 2 Year warranty. Any of the Octek range of motherboards can also be supplied in a complete system, with your choice of peripherals and features. See the ZCM Services system page for details. Copyright ©1997 ZCM Services, Australia. Last updated on June 15, 1999.